The Steelers got back a weapon today to their offense, as the NFL officially announced the lifting of the suspension for wide receiver Martavis Bryant on a conditional basis. 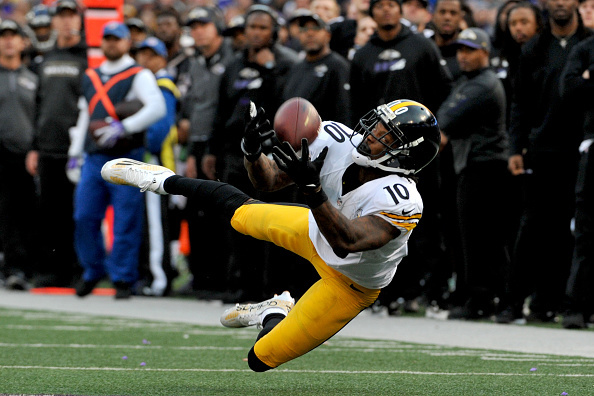 Martavis Bryant has followed the protocol and has been conditionally reinstated by the National Football League. We appreciate that he has taken the necessary steps in an effort to get his personal life in order. We also understand this is just the beginning as he works to return to the team and meet all of the conditions of his reinstatement. The NFL notified MARTAVIS BRYANT of the Pittsburgh Steelers today that he has been reinstated to the NFL on a conditional basis. Bryant may join the Steelers at the training facility and participate in meetings, conditioning work and similar activities. Once arrangements have been confirmed regarding Bryant’s clinical resources in Pittsburgh, he will be permitted to participate in all preseason activities, including practices and games. Prior to the start of the regular season, the NFL will review Bryant’s progress. Based on his compliance and engagement with his program and resources, he will be permitted to participate in all regular season activities beginning in Week 1. He will be evaluated later in the season for full reinstatement. Bryant had been suspended since March 2016 without pay following multiple violations of the NFL-NFLPA Policy and Program for Substances of Abuse. 1 Comment on "Steelers Get Back Wide Out Martavis Bryant Following Conditional Lift of Suspension"
Its all up to him . If he keeps his nose clean , the Steelers have a championship offense . This kid can be special , but it all depends on how bad he wants it .